Okay, this may be more like a loose guideline rather than a tutorial. I originally created this block when I was at the Stash Bash last April. Sharon (A Prairie Sunrise) was unable to come to the retreat due to being late in her pregnancy and so a baby quilt was planned and block contributions made using the Ruby fabric line. Since there were only scraps to work with but plenty of white, I wanted to figure out a unique block with big impact. I opted for the slightly off center heart and I love the way it looks. It’s super sweet to see it in the full quilt sent off to Sharon and her beautiful girl, Ruby Verna. The ladies who contributed the rest of the blocks knocked it out of the park, too, don’t you think? See the quilt details here from Chris (Freckle Mama). Choose your background fabric and the fabric for your heart (2 colors). Roughly you can an FQ for your background will be more than enough and you can use 2 jelly roll strips for the colors. Lay out your block in accordance with the diagram below. You can play with the HST layouts if you want. The picture above is what I went with but the ones below are alternative ideas. You can see, in the last photo, an alternating option I used for the original block. Sew the blocks together, pressing seams open to avoid bulk then sew the rows together. Trim to 12 ½” or 12 ¼” and voila! Your block is done. I decided to make this into a pillow cover so I added 2 borders. At this point, I basted the block to batting using a basting spray and quilted it. 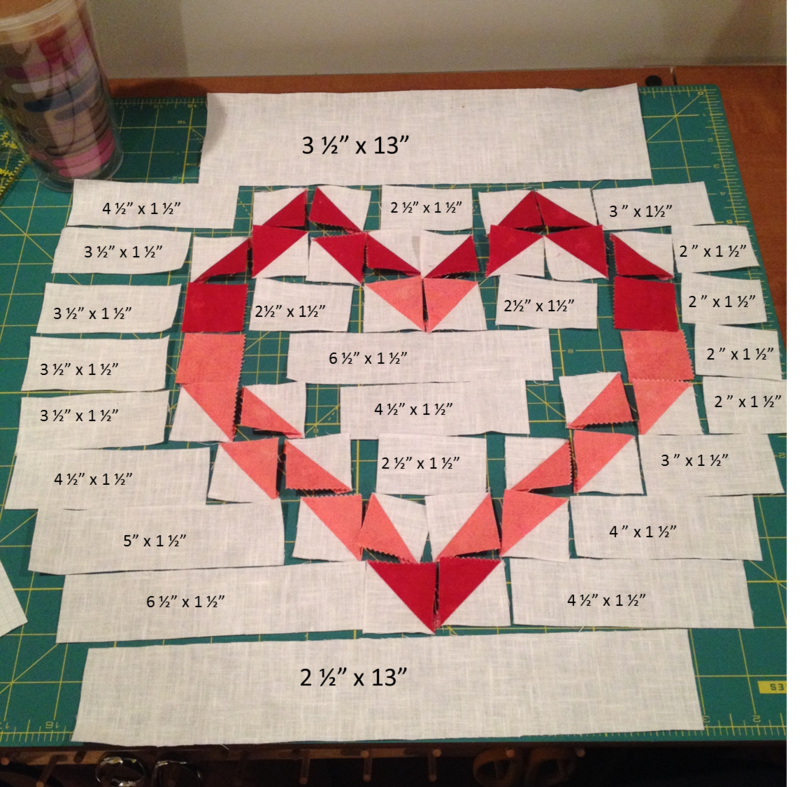 Then, I used Sew Mama Sew’s Tutorial to create a cover for an 18” pillow form. 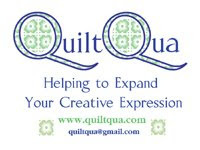 Check out the quilting! Did this on my domestic and it's pretty even for a first time. I've never been able to and always had to put these on the frame but now I feel good about small projects getting done on the domestic, too. Yay for small accomplishments. Turned out really cute, thanks for the tut!! Cute! Love it as a pillow. Another Pinwheel Quilt and more Mug Rugs?